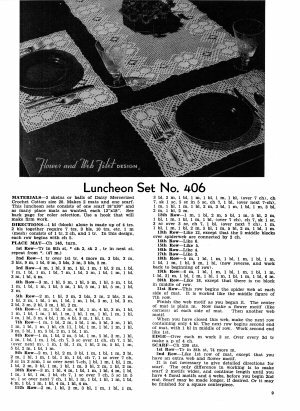 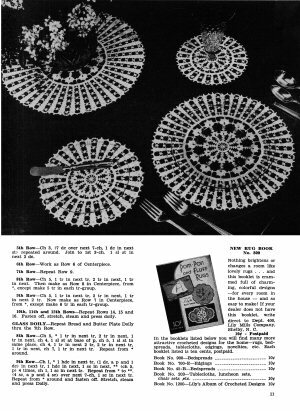 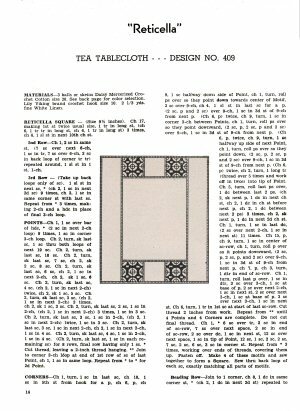 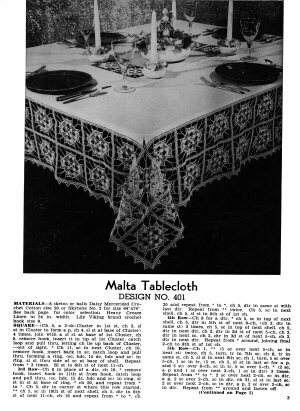 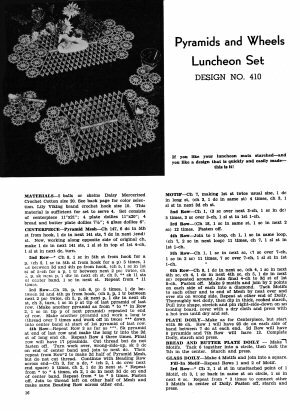 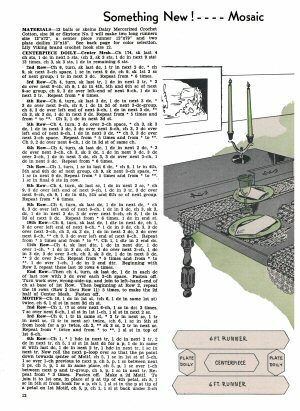 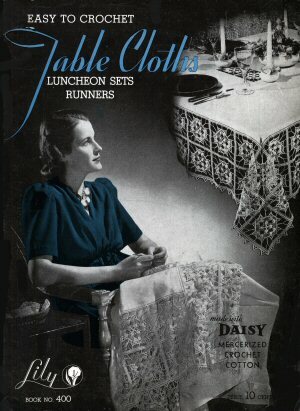 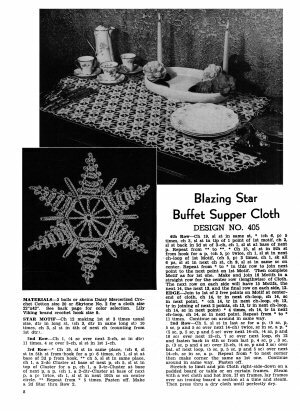 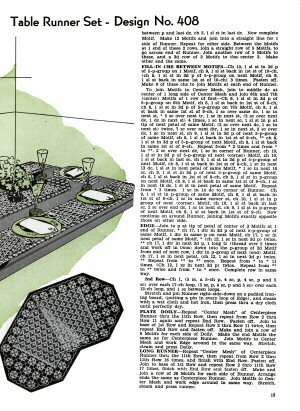 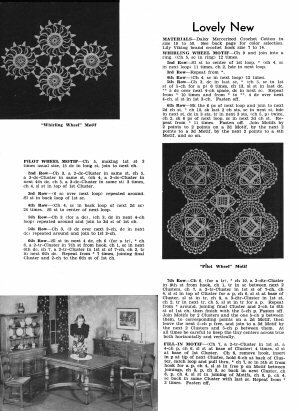 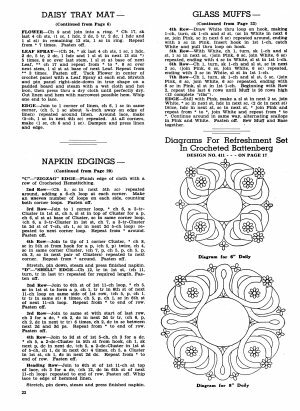 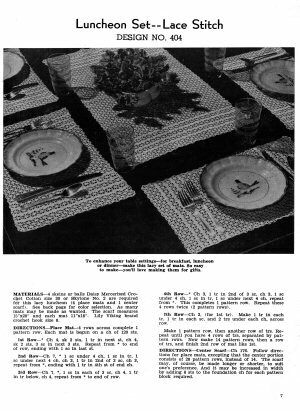 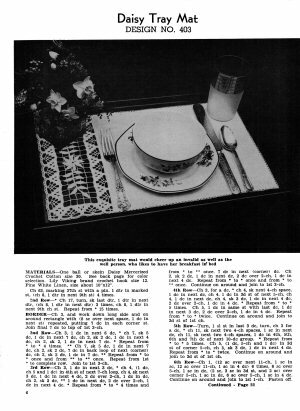 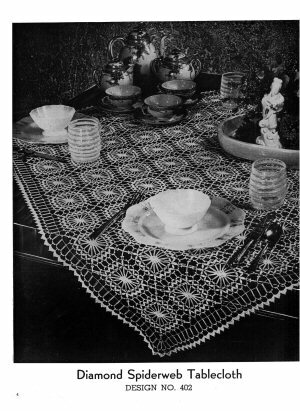 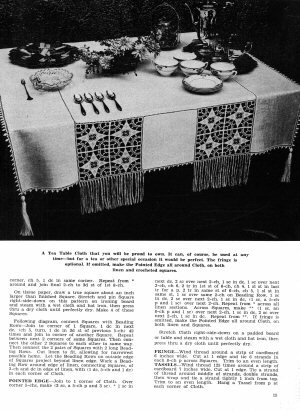 Leaflet of assorted crochet designs for tablecloths, coasters, placemats/tray mats, luncheon sets, runners, and tea cloths, plus some napkin edgings. 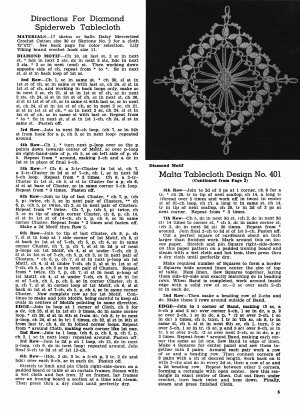 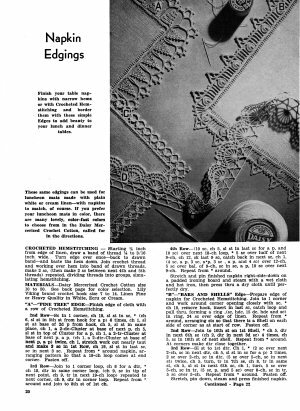 Many designs are composed from motifs that can be adapted for other uses. 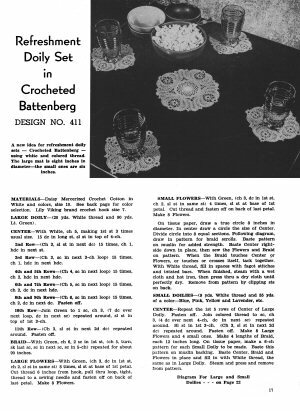 One design is in "Battenberg" style, with crochet (instead of embroidery) used in concert with folded and looped fabric tape. 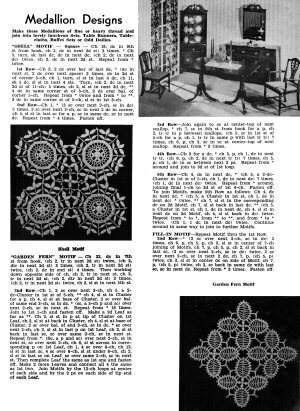 24 pages, mostly black and white illustrations. 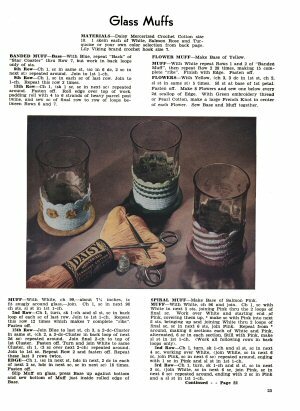 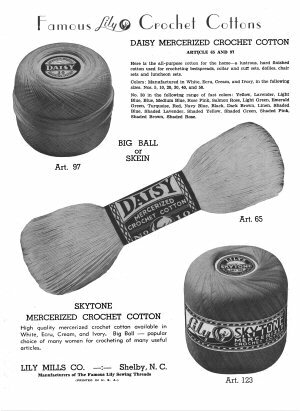 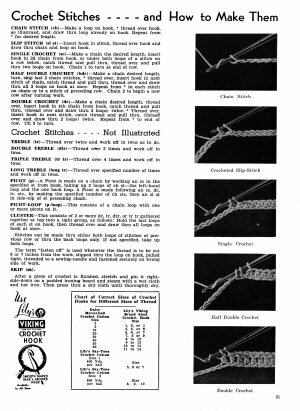 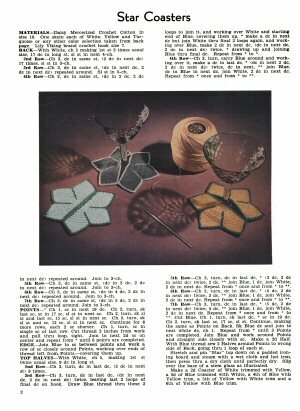 Includes photo summary of crochet stitches used. 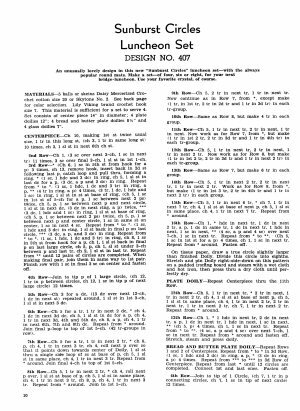 Prose instructions, American notation.